What Perian Does — Described by its developers as a Swiss Army knife of video playback, Perian has long been among the first pieces of software I install on a new Mac. Out of the box, a Mac can play video through Apple’s QuickTime Player, which handles .mov, .m4v, and .mp4 files quite happily. Unfortunately, QuickTime Player throws its hands up in despair when asked to play .avi and .mkv files, which are common on the Internet, not to mention a host of more unusual formats. This is where Perian comes — or, rather, came — in. Installed as a preference pane, Perian offers little in the way of configurable options. Instead, it simply operates in the background, quietly and transparently enabling QuickTime Player to play video formats not deemed worthy by Apple. But Perian’s days are numbered. The developers have announced that support will cease 90 days after the upcoming final update to Perian. Perian may, they say, continue to function under Apple’s forthcoming OS X 10.8 Mountain Lion, or it may not. The Perian people are making no promises, other than that they won’t be supporting Perian any longer. Time, they say, to move on to new projects; the source code will remain available for others to improve, but the existing development team won’t be working on it. The Alternatives — It is quite likely that Perian will continue to function under releases of Mac OS X for the near future, but it isn’t guaranteed, and so users like me, who have become dependent upon Perian to handle playback of movies not Apple-approved, will be looking for alternatives. Luckily, all of the main options are free. The first contender is VLC. Like Perian, VLC has a wide reach, nimbly embracing all but the most exotic videos, including DVDs. And, if it’s in a really good mood, it can even provide a way to play DVDs from regions other than the region for which the computer has been set (a feature of interest to anime fans and many people outside the United States). I personally care little for VLC’s interface, though it cleaves more closely to Apple’s human interface guidelines than does the quirky QuickTime Player. 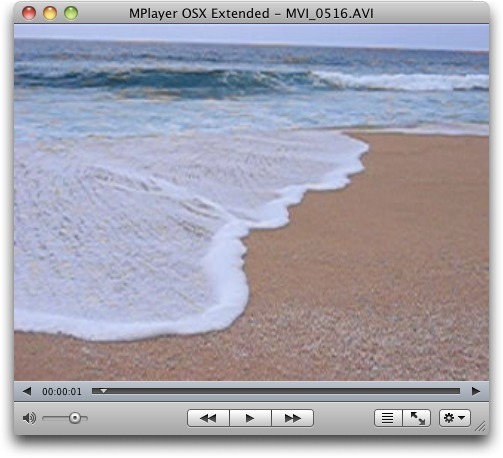 VLC, by virtue of its thoroughness and its longevity, has become the standard against which competitors are judged; foremost among them is MPlayer OSX Extended, which offers much the same feature set of its rival, including spoggly and unreliable DVD playback, but little in the way of enhancements or embellishments that might make it a compelling alternative. The same is true of UMPlayer, whose unoriginal name hides an extensive feature set. Sadly, though, UMPlayer is let down badly by jerky playback (unacceptable on a 2 GHz i7 MacBook Pro), a reluctance to recognise my laptop’s DVD drive, and dialogs written by someone who, if we’re being charitable, has yet to master English. UMPlayer’s interface is strangely reminiscent of Windows Media Player, and its standout feature, YouTube playback and recording, is disappointingly dysfunctional — a YouTube search box in the top-right of the app’s main window returns search results, but UMPlayer seems incapable of actually playing selected videos. Perian’s developers recommend NicePlayer, which is a nice piece of kit, though still in preview form for 10.7 Lion in a September 2011 release. 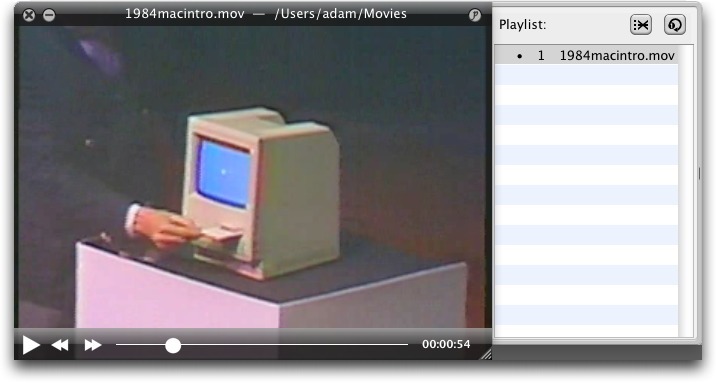 Similar in its interface minimalism to QuickTime Player, NicePlayer eschews unnecessary extras such as YouTube access and DVD playback, focusing instead on what a media player should — the playing of media files. Sad, then, that it’s built on Perian, and so will likely end up stumbling and falling if Perian does. Recommendations for the Perian User — Lack of support suggests, but does not by any means guarantee, future problems. Perian 1.2.3, the current release, works admirably under Mac OS X 10.7.3, and unless Apple substantially overhauls QuickTime in Mountain Lion, it seems fair to assume that Perian will function, at least adequately, for some time to come. At some point, though, it will likely fail, and an alternative will then be required by anyone who needs to play an .avi or .mkv file on the Mac. NicePlayer seems unlikely to have a future separate from Perian. UMPlayer, frankly, could use some additional beta testing before being turned loose on the public. 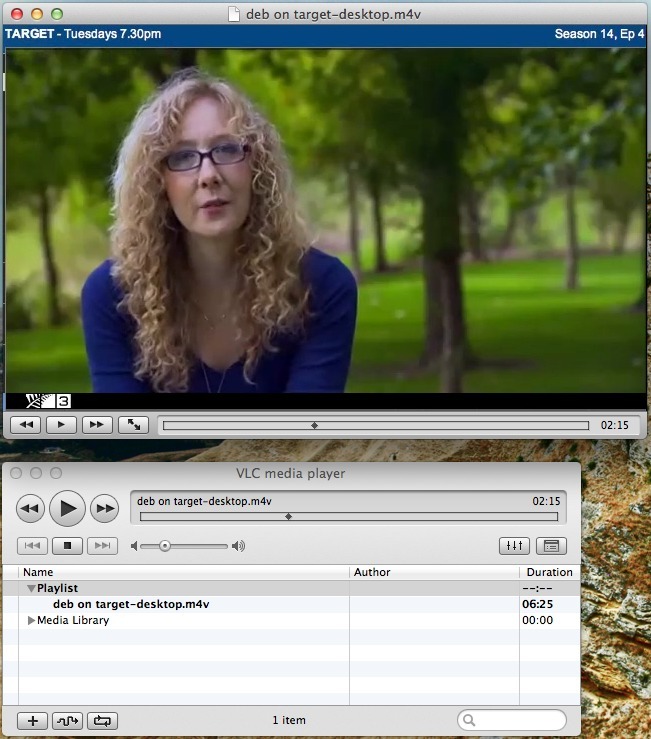 And while MPlayer OSX Extended shows promise, it feels a touch immature and unpolished. And that leaves us where we started, with VLC. It might not be the last word in DVD playback, but right now the obvious candidate to start accepting Perian users looking for a new home is indeed VLC, a mature and stable media player that provides playback options for more file formats than one can reasonably shake a stick at. It has been out for awhile and receives regular updates. Moreover, it's much more of a Mac-native app than VLC has ever been interested in being. It's minimalist, like QuickTime Player; it has a well-organized preferences window; it can full screen on your secondary monitor; and everything has a keyboard shortcut. And how would we do that? The Perian people didn't/haven't asked for money. Show up at their house? Start a software firm? I've been using a program called movist. The thing I will miss most about Perian is that in adding additional codecs and container support to QuickTime, it extended the video preview capability of Quick Look in the Finder. VLC, Nice Player, et al, will not replace that functionality. I hope that someone will write a new Quick Look plugin to somehow restore this feature before an OS X update breaks Perian for good. Nothing wrong with Flip4Mac, but I think it only does .wma and .wmv formats, not the host of other formats that Perian handles. It's a fine addition for anyone who runs into Windows video formats, but won't help with everything. Flip4Mac is just for handling legacy Windows Media files, and has no overlap with Perian which allows a wide variety of container types and encoders to be played on your Mac. As far as I know F4M doesn't handle any DRMed file, which makes it of limited usefulness as nearly all the WMD content I've seen in the last few years is heavily DRMed.